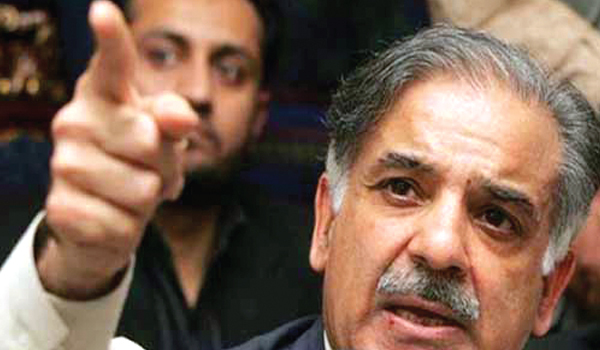 Punjab Chief Minister Shahbaz Sharif has denied having knowledge of the operation carried out by police against the Pakistan Awami Tehreek (PAT) activists in Model Town last year. On June 17, 2014, at least 14 PAT workers were killed and 90 were injured in clashes with police in Lahore. A joint investigation team (JIT) was formed by the Punjab government to probe into the incident. “I found about it the next morning on TV,” said Sharif in a statement before the JIT on Saturday. Instead of asking the JIT to visit CM House, the Punjab CM visited the investigation team’s office himself to record his statement. Earlier, an FIR of the incident was lodged by police against the PAT activists. Another report on the complaint of PAT was also lodged two months after the incident, naming Prime Minister Nawaz Sharif, Punjab CM Shahbaz Sharif, MNA Hamza Shahbaz, former Punjab law minister Rana Sanaullah and 14 other political leaders and government officials. However, no office-bearer of PAT has so far appeared before the JIT to record their statements. If he is clean then why does he not publish the report by Justice Bakir Najvi? Because he knows he is guilty and he deserves excecution. Does anyone, including the JIT, believe that's? He came to know about it next morning! What a grand CEO we have for the province. I am impressed.